Bond Wealth Management takes an all-encompassing approach to matching decisions about your assets with the life and legacy you desire. We look at you as a whole person and at the things that are important to you. It's not just about the numbers. It's not just about getting a good return on an investment. It's about developing a plan to help create confidence - finding the right financial tools to achieve the right results. We know that the way you think of money today has to be different from how you thought of it in the earlier stages of your life. Financial planning - like your lifestyle - evolves through phases as priorities change. Our advisor understands that in the later stages of life, wealth stability is often more important than aggressive, high-risk growth. We are experienced in Stage Two and Stage Three financial planning, offering personalized strategies to address complex estate and retirement issues. We will offer you knowledgeable advice on the available choices and guide you through the language of finance and investment to help address your goals for retirement, family members and charitable organizations. You'll purchase your first home. You'll invest in retirement plans and in stocks, bonds, and mutual funds. You might purchase life insurance to protect your family. Your financial goals are changing, with retirement on the horizon. You're focused on both growth and preservation of your wealth. You'll assess your ability to retire and support the lifestyle you desire. Perhaps you've created a trust and developed an estate plan. You might be anticipating an inheritance. You might be facing the challenge of healthcare costs for yourself, your spouse and your parents. You've reached retirement. You're focused on a lifetime income stream as well as transferring your wealth. You'll consider revamping your financial plan to reflect a new priority of preserving your accumulated wealth and reducing investment risk. Loss of a spouse may trigger a change in financial planning. It's time to consider a tax-efficient way of gifting your wealth to your heirs or a favorite charity to fulfill your legacy. They have realized a certain level of financial success. They've become aware that because of their success, excessive taxes and fees can be a threat to retirement and estate plans. They are ready to create and execute a long-term financial plan. How can you tell if you would benefit from working with a Bond Wealth Management? Are you assessing your ability to retire and maintain the lifestyle you desire? Have you created a trust, developed an estate plan or received an inheritance? Are you concerned about potential healthcare costs for yourself, spouse or parents? Has your lifestyle changed and does your financial plan reflect those changes? Do you have concerns about taxes and how to efficiently gift your wealth to your heirs? Would you like to donate to a favorite charity? An affirmative answer to any one or more of these questions is reason enough to give Bond Wealth Management a call. It is your first step toward gaining knowledge about proper wealth management. You've reached the point in your life where your personal assets are worth enough to make things complicated. You've been told you may benefit from consulting a financial planner, a professional to assist you in making the important decisions to help keep your retirement goals within reach. Bond Wealth Management focuses on working with people at your stage in life. We have the knowledge and experience to help make sense of the variety of options you face. 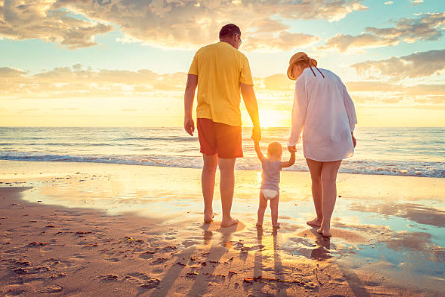 We take an all-encompassing approach to matching decisions about your assets with the life and legacy you desire and are dedicated to helping you realize your dreams and enjoy your retirement years.